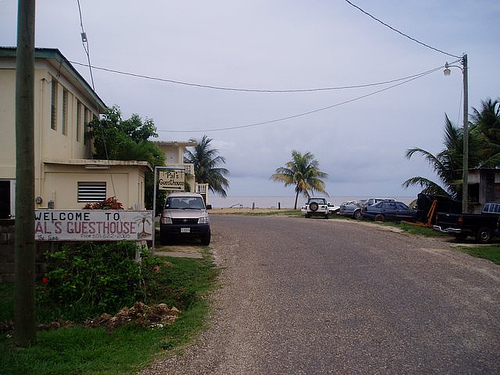 Pal's Guest House "Our Belize Vacation" - "Our Belize Vacation"
Pal’s Guest House , your key to unlocking the treasures that Dangriga, The Stann Creek District and Belize holds. holds. Arriving in Dangriga by bus Pal’s is only a 5 minutes walk and this seaside venue will awaken your senses with either the breathe taking view of the many offshore islands or just the tranquil atmosphere that is Dangriga. Located on the south side of the town we are only minutes from the local market, banks, restaurants and the entertainment venues. 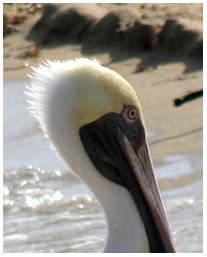 No trip to Belize is ever complete without a stop-over in coastal DANGRIGA Town, cultural capital of the country. 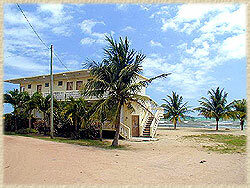 From Belize City, you can get to DANGRIGA by bus (3 hour ride) or plane (15 minutes). 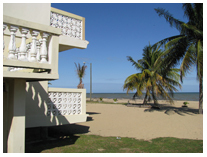 Once in DANGRIGA, a home-like atmosphere awaits you at Pal's Guest House. With its convenient on-the-beach location, near the center of town, just under a 5 minute walk from the bus terminal, Pal's offers you clean, quiet, comfortable, relaxing accommodations at competitive and affordable prices. Pal's is managed by a retired teaching professional who takes pride in sharing his knowledge of the Garifuna history, language, and culture with visitors to the guest house as he has done with groups of visiting university students who request an audience. Our rooms come with either air condition or standing fans however whichever you chose you will have cable television, hot and cold shower , and private bath. We have 16 rooms with 10 of which are situated on the beachfront while the remaining 6 are away from the beach next to the lobby. 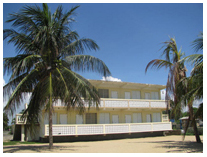 We have 8 air conditioning rooms 2 situated in our beachfront building and the remaining 6 in the courtyard. 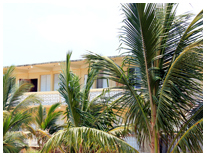 Each of our beachfront rooms has two or more beds and has a private front balcony facing the sea.